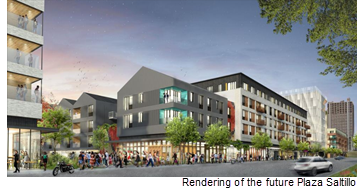 ​​​ AUSTIN – Whole Foods Market Inc. has announced another 365 store in the region—this one to Central East Austin. The 30,000-sf store will sit at I-35 and E. 5th St and will reportedly open in second half of 2019. The grocery store will be a part of the new Plaza Saltillo district currently being developed. The ten-acre site surrounds one of Capital Metropolitan Transportation Authority's train stops.